Artie is on the BolognaRagazzi Digital Shortlist! Some exciting news dropped into our email box last week, from none other than the team at Bologna Children’s Book Fair. The BCBF is a highlight of any book publisher’s calendar. However, it has also drawn attention recently for introducing a dedicated digital element into its annual award ceremony. Last year, we were so excited that our first drawing app, Artie’s Magic Pencil, was given a Special Mention at the BolognaRagazzi Digital Awards. And this year, we’re over the moon to say that Artie’s World has also caught the juror’s attention. In fact, it made it onto the shortlist for this year’s award! Image from Bologna Children’s Book Fair (click to visit!). This year’s theme is ‘fertile ground for children’s content’. The jurors commented that the app is ‘Excellent for developing fine motor skills in a creative setting’. 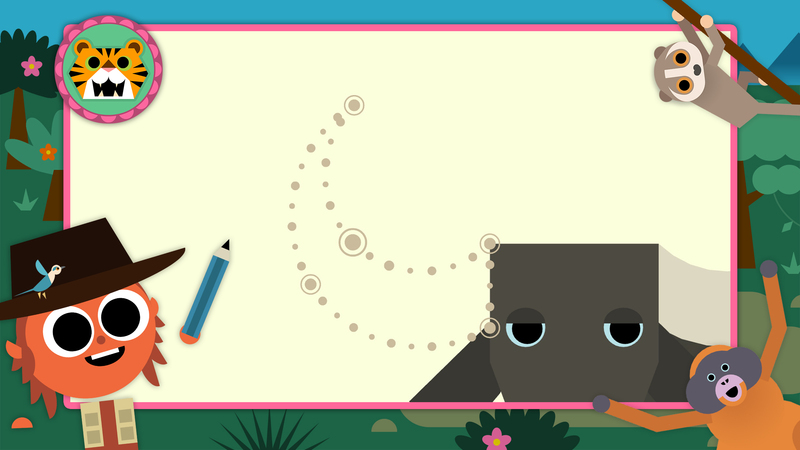 The Artie apps are all about learning to draw using basic shapes, in a relaxed way. We’ve received plenty of positive feedback about this from parents, kids and even speech languages therapists! Artie’s World grew with 2 brand new zones (the Ocean Odyssey and Savannah Safari) on the App Store late last year, and the new zones are coming to Google Play and Amazon soon. With these apps, children can practice focus, grow confident in their creative skills, and make screen time matter. With Artie’s World, kids can learn to draw anything from a chicken to a water buffalo! Finally, another announcement – we’re exhibiting at the Bologna Children’s Book Fair at the end of this month! Our Creative Director, James Wilson, will be giving a talk on the 26th in the Digital Cafe, and we’ll have a stand throughout the fair where you can learn more about our apps. We look forward to seeing you there.